Görkem Bozkurt has a bit of a problem. When he gets going with a build, sometimes safety glasses are forgotten in the excitement of making something new. 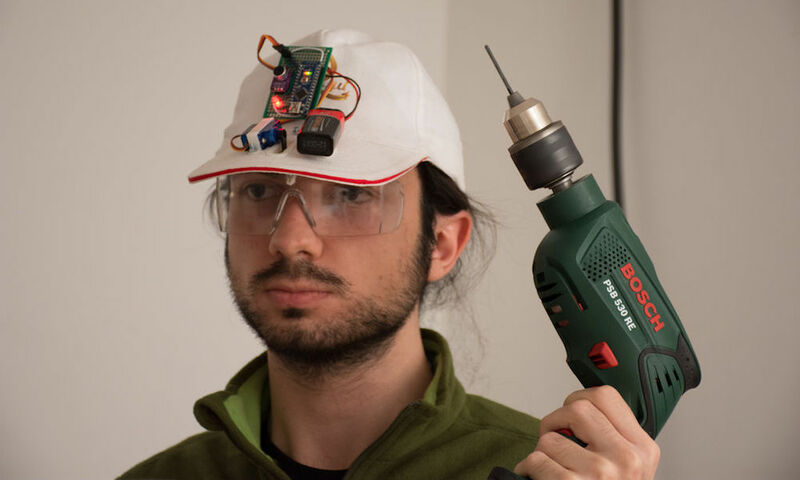 While understandable, this doesn’t make things any less dangerous, so he came up with a novel idea to put on his safety specs on automatically. 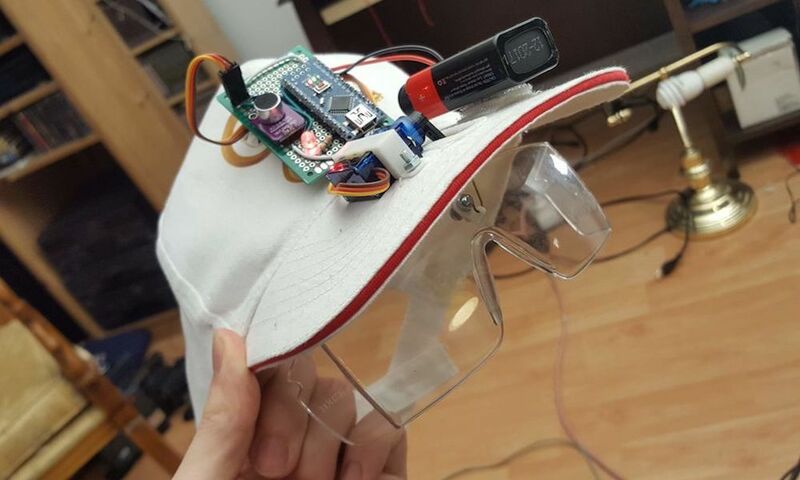 His wearable creation attaches an Arduino Nano and a MAX4466 electret mic amplifier to the top of a previously normal hat, along with a small servo connected to a pair of lens below the bill. If a loud sound is heard, the goggles are lowered by the servo in response. They’re then retracted when the noise, and hopefully the danger, is gone. While the system is still very much a work-in-progress, it’s an entertaining concept that Bozkurt hopes to develop further.